The Prime Minister’s Indigenous Advisory Council headed by Warren Mundine has committed to including suicide prevention as part of its mandate – after Mr Mundine read our coverage on the extent of Aboriginal and Torres Strait Islander suicides, which many have described as a suicide epidemic; a racialised one. Mr Mundine at first committed to a three month review, but today extended that to six months. The Australian Aboriginal suicide crisis has been covered extensively by The Stringer with Gerry Georgatos complementing investigations with various research and comparative global data. The Stringer, The National Indigenous Times and The National Indigenous Radio Service have sustained the coverage, and introduced a rise of voices in commenting on Australia’s hidden shame – South Australia’s Tauto Sansbury, Western Australia’s Robert and Selina Eggington, Wes Morris, Cultural Lives’ Peter McConchie, among others, in addition to those who advise government ministries and agencies, Professor Pat Dudgeon, Dr Tom Calma, etc. “It is amazing. A lot of these people are kids, I can’t believe how young they are who are doing this and what are the causes of this and what can we do to stop it happening,” said Mr Mundine to reporter Geoff Bagnall. 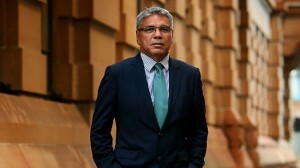 Mr Mundine said he wanted to consult Mental Health Commissioner, chair of the National Empowerment Program, Australia’s first Aboriginal psychologist, Kimberley Bardi woman Professor Pat Dudgeon, and former Australian Human Rights Race and Social Justice Commissioner, Dr Tom Calma, who alongside Professor Dudgeon heads the Ministerial Indigenous Suicide Prevention Group which reported to former ALP minister for Mental Health, Mark Butler. “All Australians needs to see this as a major priority and need to lobby and advocate for Governments to take on this responsibility,” said Dr Calma. The three year old National Congress of First Peoples, which is at the discretion of Government whether it survives past July 1, next year, as its $5 million a year funding may not be renewed, issued a statement to The National Indigenous Times on Georgatos’ story of 996 reported suicides of Aboriginal and Torres Strait Islanders. We hope the National Aboriginal and Torres Strait Islander Suicide Prevention Strategy will provide the kind of long-term support for successful programs run by our communities and our organisations,” read the Congress statement. “We need to understand suicide in the ways that are truthful, that some are not preventable, but the result of conditions created against our people, and we have to change these conditions, and we have to respect the families,” said Mr Eggington. It is a positive step that Mr Mundine has committed to get his head around the crisis and to include the suicide crisis within the Indigenous Advisory Council’s mandate. If there was ever a time for a Government to spend hundreds of millions of dollars on something, it is this, the saving of lives. Please see the site “Unfinished Business”, disability in remote, regional and urban Australian aboriginal and Torres Strait Islander communities to see results of the heartless and draconian attitudes of some white Australians towards our First People. The stories and heartbreaking, how can people be so cruel and inhuman toward other people. It is shameful. How many billions spent on “consultations and “interventions:”…WHAT HAS BEEN ACCOMPLISHED! Warren, you have a once in a lifetime opportunity to do something on a grand scale for your people. Don’t be a puppet. I fully agree Mr Mundine needs to interact with those people who are in the Mental Health Profession – on the grass root levels, whilst seeking to deal with suicides. Mr Eggington is certainly accurate with regards to our peoples injustice repercussions contributing to suicide and regarding those who remain quite. I was one of the Stolen Generation Child Back in the 1950’s/1960’s at the Moore River Settlement in Western Australia. I am now 52yrs of age. I’m a senior Tribal Elder, I have just made contact with my full-blood Nganjmirra Family Father and Mother and my Brothers-Sisters, Grand Father, Great Grandfather, Uncle, Cousins, Relations, from Jabiru right through to Nhulunbuy in Arnhemland Northern Territory. To date, I have had to make very serious decision, assisting others to adjust and clearly see the concept of moving on in the right direction for our future generation, I will continue to do so, to prevent a repeat of the Stolen Generation and ensure that this does not exist or become a forced solutions from the empowered Australian Government. The Intervention structure has never been, or will ever be a welcome or favorable solution, current constitutional law places strong requirement on Communities to ascertain appropriate internal developments. The Australian Constitution is not always recognised by Aboriginal and Torres Strait Islander who are on their own lands. With this consideration the Elders and Communities families must all recognise and work together to prevent child abuse, alcohol, drug and substance abuse, domestic and family violent, sexual abuse, gambling addiction, bulling and harassment, criminal activities, workplace abuse, Jealous abuse, using Culture as a Cloud Cover. There is so much abuse that is happening in Aboriginal communities across Australia, It Must Stop. The Traditional Elders and Community Families are very ashamed that these kinds of acts are now common in communities. (Shame shame, shame). If they know that this kind of abuse is happening in their communities, then they should have the courage to let someone know right now (Traditional Elders, Council, Family, and Police). I thank you, that I can share my life experience and the struggle that us mob is looking at, we can overcome and fix these problems together as one Australian Mob, let’s clean up our unwanted problems now. Through National Aboriginal Solutions we can raises awareness and identify solutions together through our programs, by making aware and understanding Culture and the true Meaning of Culture to all Australians. The Sacred little Children under the age of 16 years are exposed to alcohol, cigs, other substances, mood, self-harm and sexual health. Please help these dear little innocent children today. The Sacred little Children under the age of 16 years are exposed to alcohol, cigs, other substances, mood, self-harm and sexual health. National Aboriginal Solutions (NAS) has been involved in providing advice and support to Community Elders / Leaders and Remote Communities members in a number of key areas, assisting with encouraging active participation from Indigenous Communities in an Official capacity from 2011. The organisation was formed at the request of Senior Elders both Women and Men from a number of States and the Northern Territory in 2011 with support from a number of Traditional Law and Culture Council members and registered under the Office of the Register of Indigenous Corporation (O.R.I.C) to act with Official Capacity in Advocating and Assisting Community Elders and their communities.